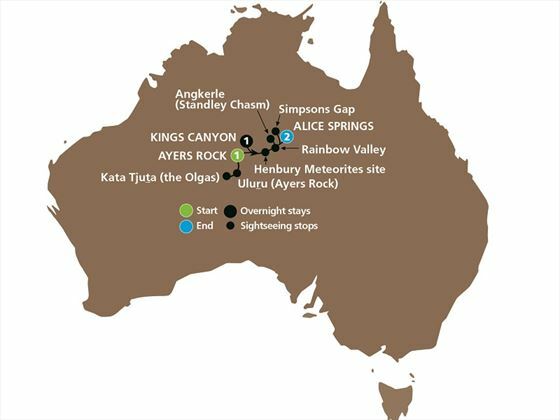 In the afternoon, meet with your driver guide and fellow travelers, and make your way to Uluru-Kata Tjuta National Park. 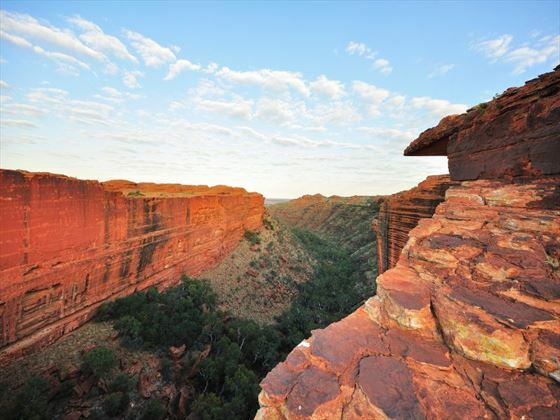 You’ll have the opportunity to learn all about the land, as well as the history, religion and law of the Aboriginal people from the Anangu (traditional owners). 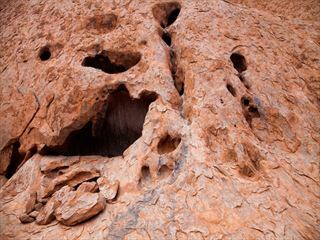 Afterwards, travel to the domes of Kata Tjuta with your guide for an informative guided walk through the Walpa Gorge. Watch the sunset at Uluru with a glass of sparkling wine and gourmet canapés. Begin the day watching the sunrise over Kata Tjuta and Uluru from the Kata Tjuta dune viewing area – be sure to keep your camera ready, the views from this area are incredible. Enjoy breakfast at Ininti Café at the Uluru Kata Tjuta Cultural Center where you can learn more about the history of the Anangu people through fascinating displays. Take a drive around the base of Uluru then follow up with a scenic walk to really see this amazing monolith for yourself, along with rock art and the Mutitjulu Waterhole. Later on, head up the Luritja Road towards Kings Canyon and Atila (Mt Conner). Stop en-route at Kings Creek Station, originally established in 1982 and now a working cattle station. 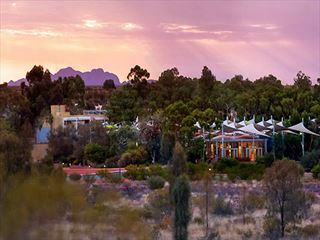 Travel a short distance to the resort then enjoy a unique dining experience in the evening, where you’ll dine beneath a star-studded sky in the wilderness. 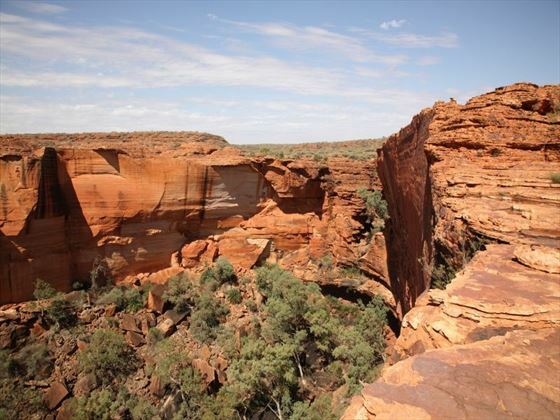 Start today with a 6km rim walk of the striking Kings Canyon where you’ll have the chance to observe the varying colours of the landscape. 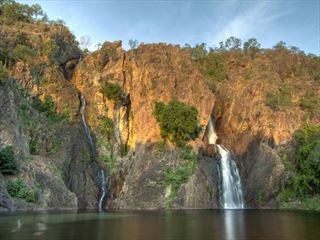 You’ll be accompanied by a guide who will highlight the various points of interest along the way including the domed ‘Lost City’, Cotterill’s Lookout and the ‘Garden of Eden’. There’s also an optional creek-bed walk for anyone looking for a more relaxed pace. Afterwards, travel along the Mereenie Loop Road and stop off at the Jump-Up Lookout where you can overlook the George Hill grange before enjoying a picnic lunch at Gosse Bluff. Then learn more about the Western Arrernte Aboriginal people with a visit to the Tnorala Conservation Reserve. 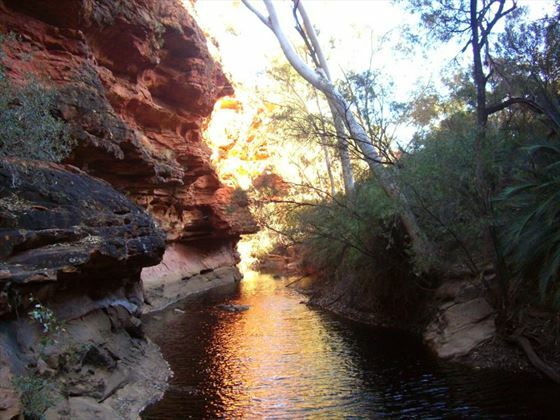 Head to Ormiston Gorge today which is situated in the West MacDonnell Ranges and serves as the ideal spot to learn more about the geology, flora and fauna of this area. 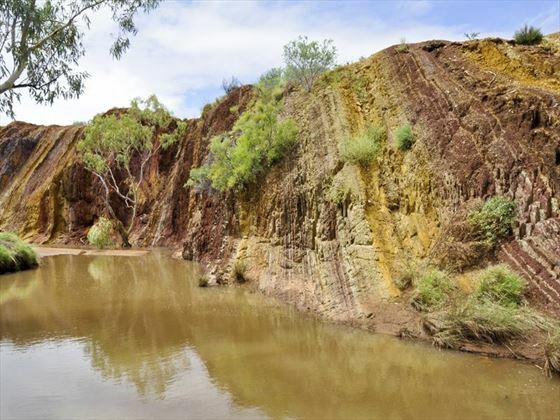 You’ll hike into areas that are only accessible on foot, exploring the Ochre Pits and learning about the significance of ochre to the Aboriginal people. 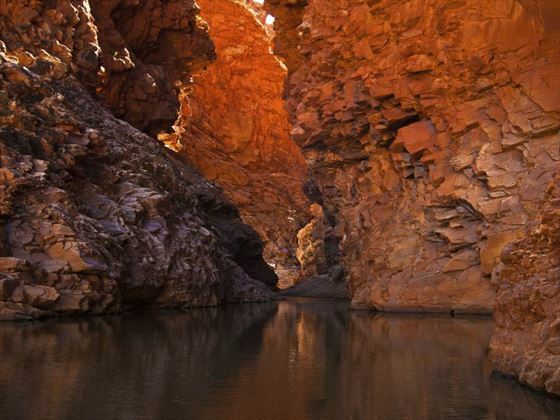 Take a dip at Ellery Creek Big Hole or relax in the shade by the river, then take a walk to the striking Angkerle (Standley Chasm) which has been created over millions of years. 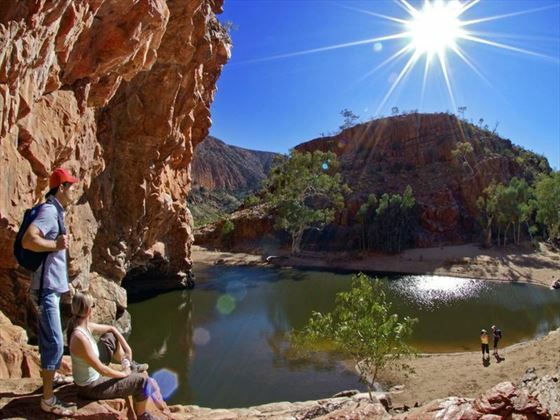 In the afternoon, take a scenic drive along the West MacDonnell Ranges into Alice Springs where you can stop along the way at Simpsons Gap for a short walk. Upon arrival into Alice Springs, you’ll make your way to the School of the Air and the Royal Flying Doctor Service to learn about how children in the remote areas of Australia are taught and how medical support is provided to people living in remote Australian communities. Begin today by learning from your driver guide about life in an isolated Australia town, and about Alice Springs’ interesting heritage; here, you’ll take a tour of the town and visit the Overland Telegraph Station. In the afternoon, your tour comes to an end.